Carbon Tracker has warned that tighter controls on carbon emissions – and cheaper solar and wind energy in Indonesia, Vietnam and the Philippines – may turn up to $60 billion worth of coal power plants in the region into stranded assets. The warning comes despite coal’s abundant availability in the region – since renewable energy is emerging as a safer financial bet in the three developing nations. Also, their cumulative RE capacity is expected to jump from 8GW now to 100GW in the next 20 years, while they have about 30GW of coal power plants currently under construction. 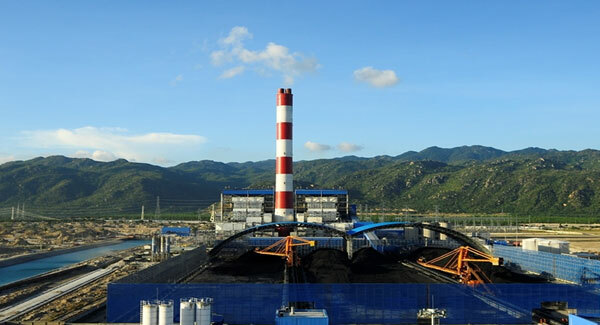 The Institute for Energy Economics and Financial Analysis (IEEFA) has calculated that the proposed 1,320MW Khurja coal plant in Uttar Pradesh will only be able to retail power at about Rs.5.67/kWh – well above current renewable power tariffs of around Rs.3/kWh. With its two units slated to come online only by November 2022 and April 2023 (resp.) and tariffs for renewable power expected to decline further by then, IEEFA has warned that the plant’s expensive electricity could turn it into a stressed asset. However, the Tehri Hydro Development Corporation (THDC) – which is co-financing the plant – termed IEEFA’s analysis “baseless”, and said the plant’s tariffs would be a “competitive and reasonable” Rs.3.90/kWh (for the first year) and Rs.3.61/kWh (levelised over its life term). But IEEFA has reiterated that THDC’s levelised tariff is not only inconsistent with the impacts of rising coal prices and railway transportation costs, but also against THDC’s own assessment published two years ago. THDC meanwhile has also asserted that prevailing wind directions between Delhi and the plant site would mean that the plant would not impact the city’s air quality — as claimed by IEEFA. New York’s attorney general has sued Exxon Mobil, alleging that the largest oil company misled investors about the risks of climate change regulations on its business. The suit has been filed in the state’s Supreme Court. The International Maritime Organisation (IMO)’s members, Saudi Arabia, Brazil and Chile, have expressed reservations over reducing ships’ speeds (to reduce their CO2 emissions) – saying that amongst other impacts, it could jeopardize deliveries of fresh produce. They have instead proposed that efforts be focussed on curtailing emissions through more efficient vessel designs. France, Ireland and Solomon Islands have championed the speed restrictions after the IMO agreed to reduce emissions from shipping by 50% over 2008 levels by 2050. The IMO’s meeting in London this week is reportedly also failing to arrive at the kind of emission reduction targets needed to honour the Intergovernmental Panel on Climate Change (IPCC) warning over climate change. Several major banks – including Citibank (US), KfW IPEX-Bank (Germany), DNB (Norway) and Societe Generale Corporate & Investment Banking (France) – have, however, come together to reduce the global shipping sector’s carbon footprint. The Spanish government will close 10 privately-owned coal mines in the country by the end of 2018 as part of its upcoming National Climate Plan. The administration will also re-skill the mines’ workers for employment in green industries as part of “Just Transition” contracts, and invest in early retirement plans for workers aged 48 and above. Norway’s Storebrand – a pension fund with $85billion in assets – has called upon investors to divest their holdings in Germany’s coal power utility RWE, saying that the fuel had no future in the world’s efforts to limit global warming to 1.5°C. RWE has been in the news for wanting to clear the last remaining strip of Germany’s ancient Hambach forest to mine more coal.